The defense minister said in parliament that indigenous component in the home made projects like Tejas, Arjun and Brahmos has many foreign components, which make India once again to be top on the arms importer. Under new defense procurement policy, India tries to slower down the imports and wants to self-reliant on most aspects, However due to lack of technology India remains to import major weapons from Foreign. Brahmos is the known reliable system, which was a 50-50 joint project of India and Russia, even so India holds 51% of the stakes in Brahmos. Still India can't indigenous the Brahmos missile. Ministry said 65% of the missile components are outsourced, It's an easy guessing game that why the procurement cost of Brahmos remains high. Arjun is also developed in mind to boost the Indian Army's firepower also it was developed to replace the older T 72 tanks in Indian Army, which was bought from Soviet and assembled in India. 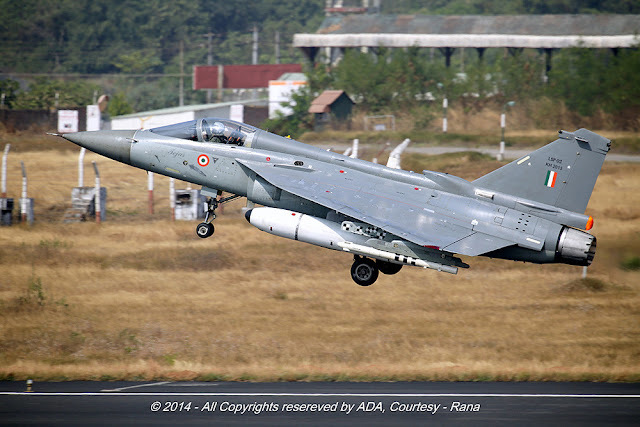 Ministry reported in Parliament that more than 55% of Arjun's components are outsourced. Mainly the engines, missile firing unit's and the tank's fire control system, actually those systems are made in India, the components are the one which could be bought from outside. As an example Fire control system of Arjun was developed with the Support of Israeli's. they still buying those sub-components where DRDO just assembling them in India. Tejas is the known project which is slated to replace the Soviet origin MiG 21 from Indian fleet, India plans to make each and every component of the fighter jet in India, Due to lack of technological aspects, India couldn't achieve major breakthrough's in aviation technology. The airframe of the Tejas developed with support from French and German experts, and it's developed besides on the Mirage 2000 Airframe. ADA plans to power the Tejas with home made engines, They given the project to the another state-run company named GTRE. GTRE initiated a project under the code name of Kaveri to develop a 90kN engine for Tejas. However, the program failed to deliver a good engine with required power output. So India needs to be bought engines from foreign. Radar, Radome and refueling probe also bought from foreign, Missiles also bought from Foreign. Which makes the Tejas only 60% indigenous, nearly 40% components are still outsourced. As some reports from served officials criticized the work culture of HAL and DRDO. who is doing just screwdriver jobs rather than working on new projects, lack of fund also concerned about that issue? If the same continuous in future it's clear during a war like situation, India needs to spend a large amount of money just for buying ammunition's and sub-components.